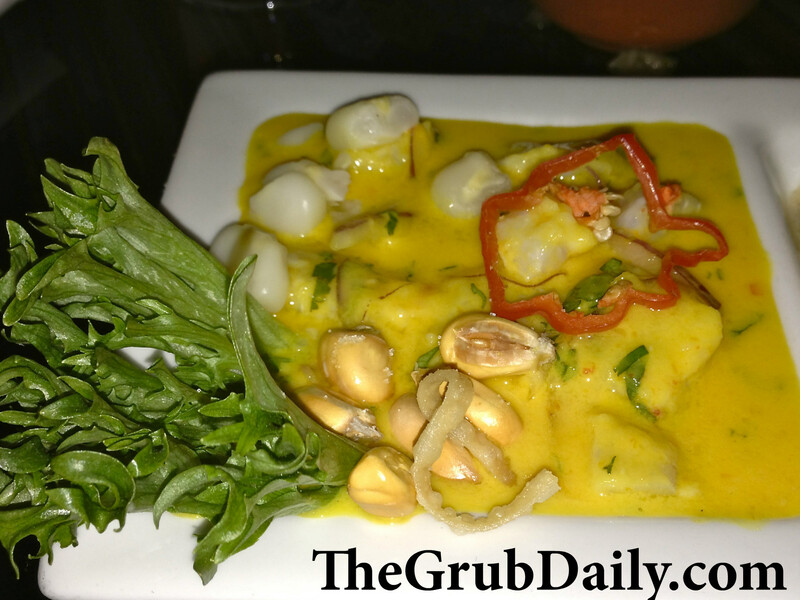 Located in a town with a fiercely competitive restaurant scene, El Tule distinguishes itself with a unique menu that features both Peruvian & Mexican specialties. 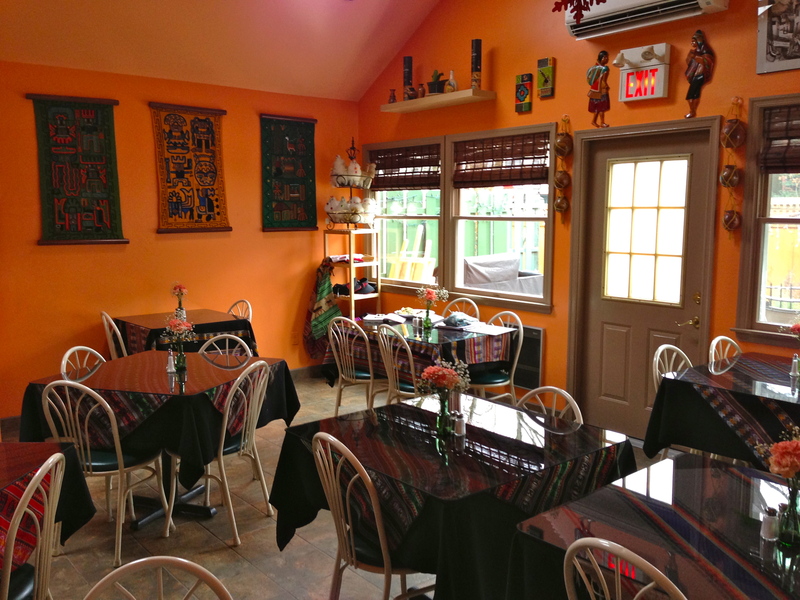 They have a casual, no-frills dining room adorned with traditional Incan tapestries and artwork, and the vibrant color scheme combined with the festive images transports you to some other Latin American world from the moment you walk in the door. If your lucky enough to go in the spring/summer, they also have a nice outdoor patio area where you can enjoy your meal al fresco! Just don’t let the relaxed nature of the dining atmosphere fool you about their food. El Tule takes their cooking very seriously, and no detail is overlooked in the foods preparation, presentation, or service (which I will admit was a bit slow when they first opened, but I assure you it has gotten much, much better!). It is clear that the presentation of each dish has been well contemplated and then artfully executed. The flavors are well developed, seasoned, and perfectly balanced. And the servers (which seem to be family) are genuine experts on the cuisine, that can help you navigate the exotic menu, which can be intimidating for first time Peruvian diners! And although both cuisines are excellent, I highly recommend ordering one of the unique dishes off the Peruvian menu when dining at El Tule. 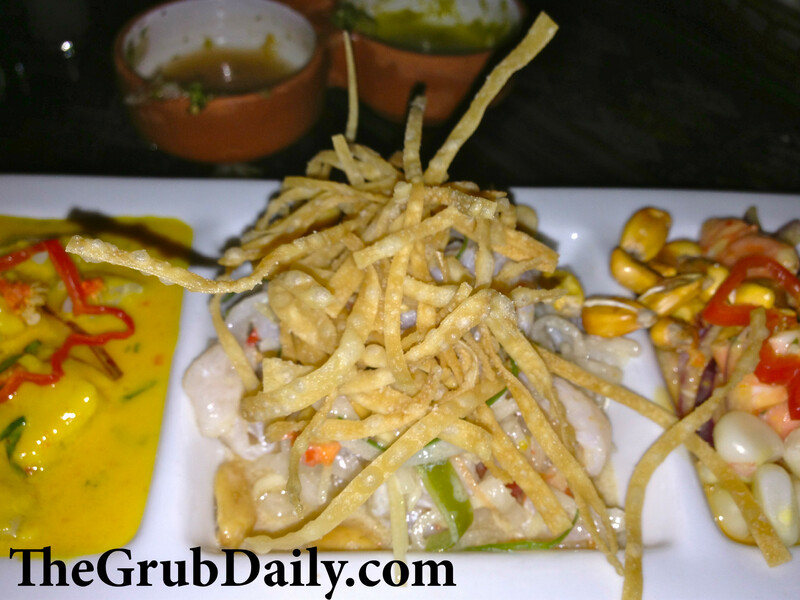 Sure their quesadilla is great, but how often can you find fresh ceviche in Bucks County?! 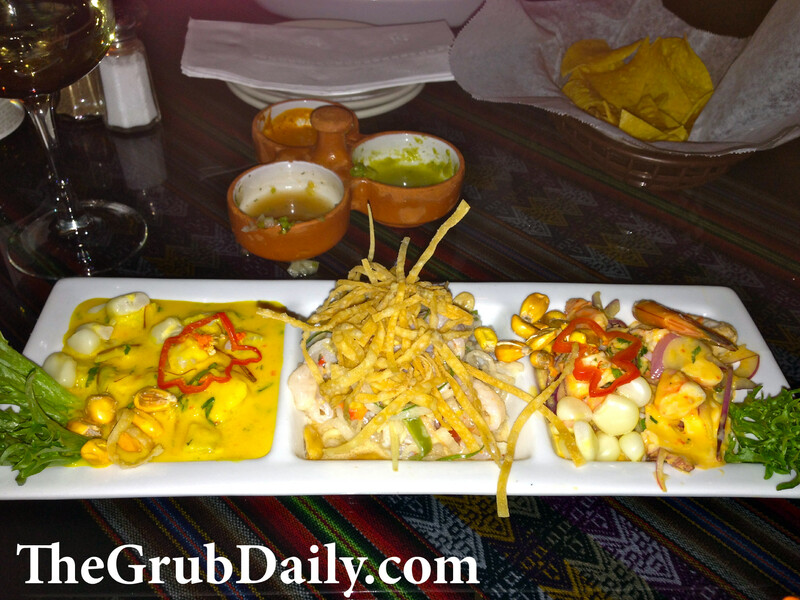 And that brings me to my next praise for El Tule; their ceviche is among the best that I have ever had, in Bucks County and beyond! 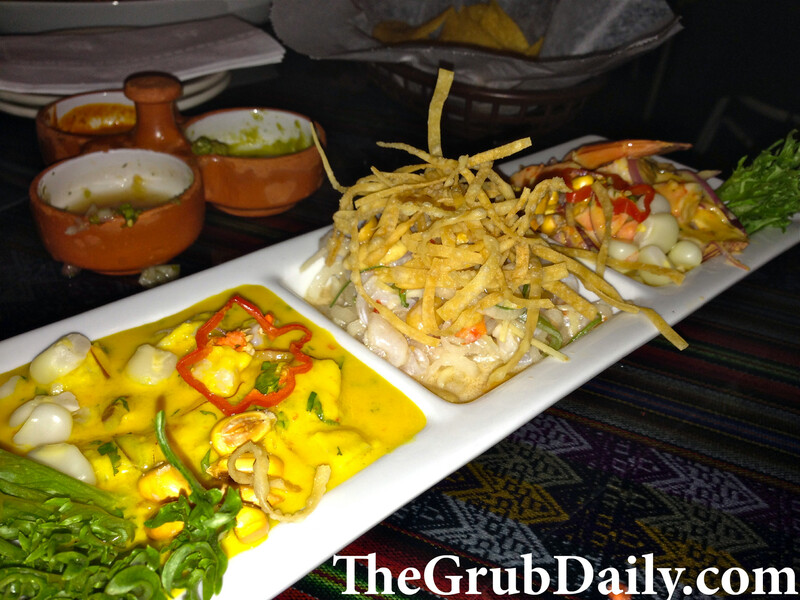 Here are a look at my 3 favorites, which can be conveniently sampled in their tasting platter called the Trilogy Ceviche. Ceviche Limeno, which is fresh Corvina marinated in lime juice with red onions, cilantro, and hot rocoto pepper garnished with sweet potato, yellow corn, and potato. 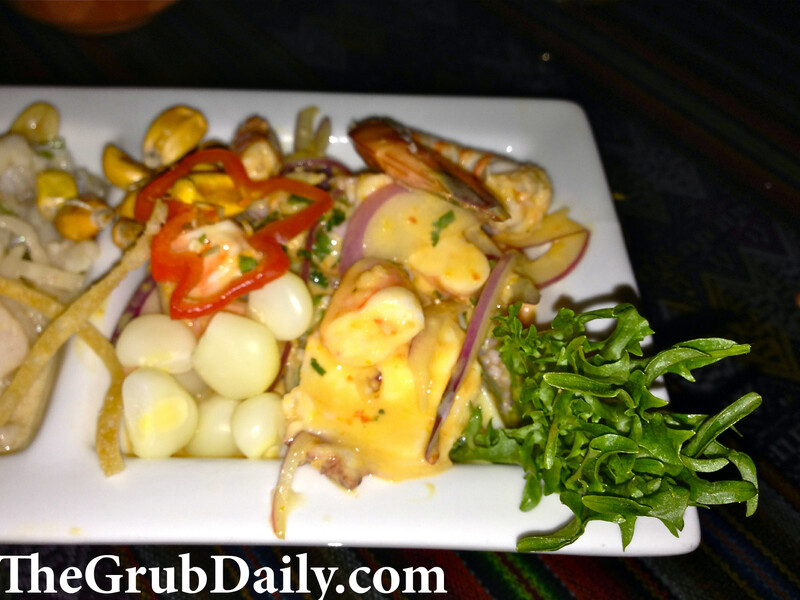 Ceviche Mixto, which is fresh Corvina, shrimp, octopus, and calamari marinated in lime juice with red onions, cilantro and spicy rocoto pepper with sweet potato, yellow corn, and potato. Tigre de leche. Ceviche Chifa which is fresh corvina fish, pickled vegetables, micro-herbs, and crispy wontons in a black-sesame leche de tigre dressing. This one might just be my favorite because the Asian flavor makes it so unique! 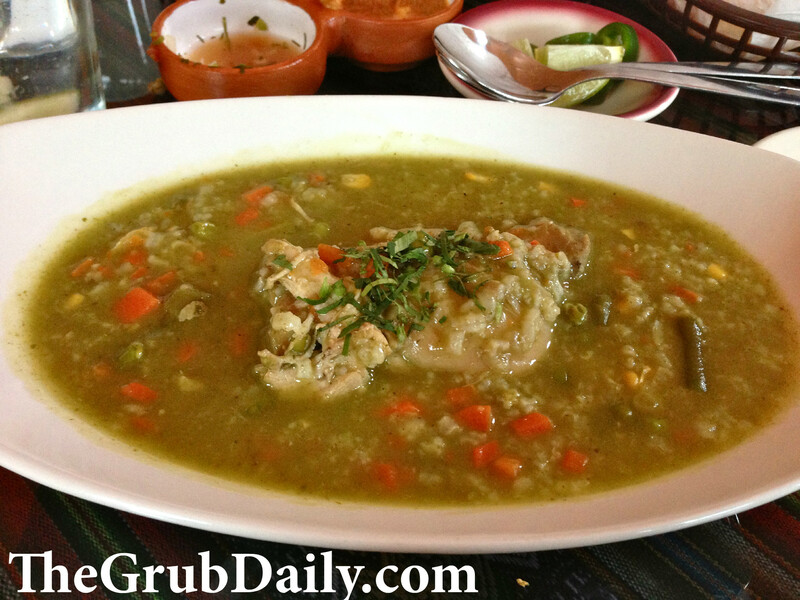 Peruvian Chicken & Rice Soup with Cilantro Pesto. This is my go-t0 lunch in the winter because it warms you from the inside and keeps you feeling satisfied all day long. The cilantro pesto brings a very fresh flavor to dish which helps lighten the otherwise heavy chicken stew. 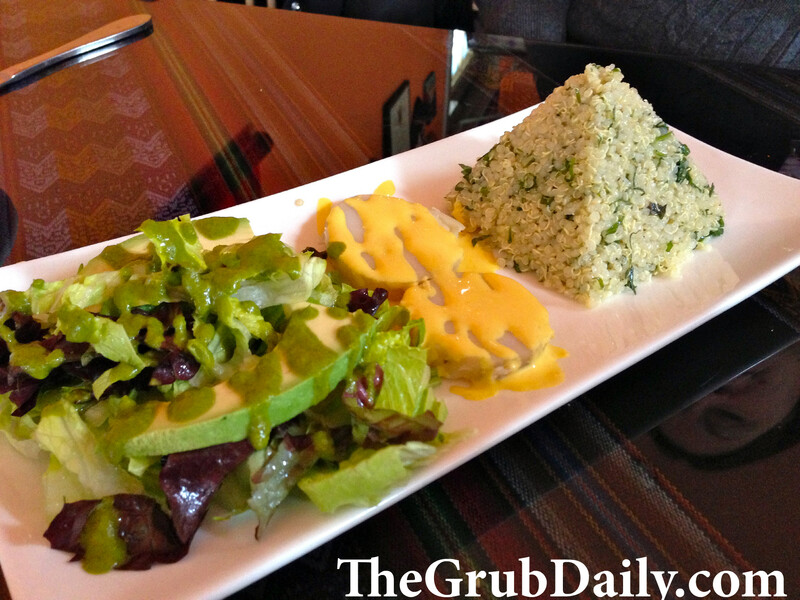 Taboule Quinoa Salad, which is traditional Inca style taboule garnished with avocado, boiled potatoes, and cilantro dressing. This very light and fragrant quinoa salad with a distinct lime flavor makes a nice lunch pairing with a soup! Red Snapper & Crab Meat Tacu Tacu, which is a pan roasted fillet of red snapper on top of a black bean tacu tacu bathed in a light creamy Rocoto pepper and crab meat sauce. The rocoto pepper is a spicy pepper native to the Peruvian region, and it works beautifully to help balance the light cream sauce that bathes this dish. As you can see, they certainly aren’t stingy with the crab meat either! If you aren’t ready to explore the flavors offered by the Peruvian menu, you can play it safe by ordering one of the more familiar entrees on the Mexican menu. 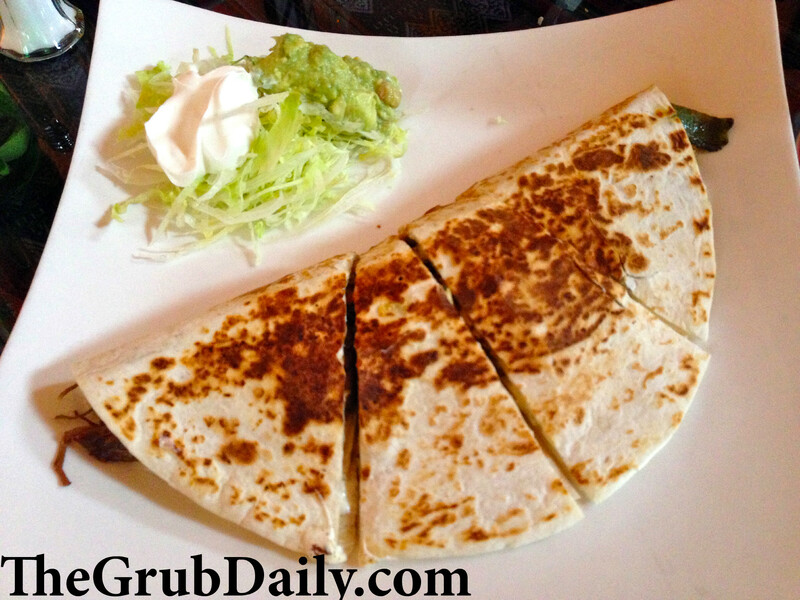 My favorite menu item from the Mexican menu would have to be the Quesadilla El Tule, which is a massive grilled flour tortilla filled with shredded beef (or chicken), roasted bell peppers, mushrooms, sauteed onions, and cheese served with sour cream and guacamole! 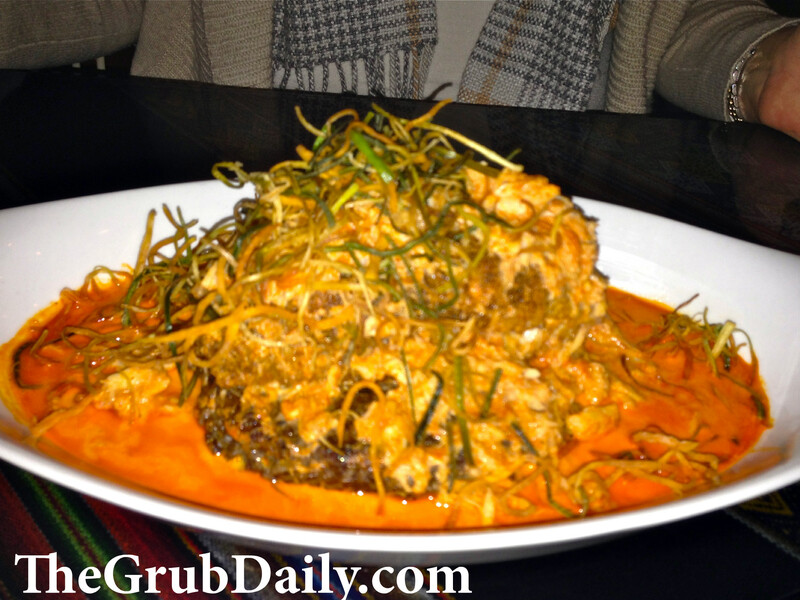 I recommend the shredded beef, which is outrageously tender and abundant! Overall, nothing but 5 stars for El Tule!